Folks around Carlsbad know the weather in San Diego is great for outdoorsing activities. In San Diego, there are plenty of opportunities to stay active and outdoors all year long. Check out this guide to the best bike paths San Diego residents like to frequent, brought to you by MINI of Escondido. One of the most popular spots to bike in the city, the Bayshore Bikeway runs through the South Bay, downtown, and Coronado. While the route runs 24 miles total, 13 miles of the Bayshore Bikeway is dedicated only to cyclists. On the Bayshore Bikeway, you’ll find a beautiful ride through the San Diego Bay National Wildlife Refuge. At a relatively flat grade, it’s a pretty easy path for novice adult riders and older kids. Not for the faint of heart, the Mount Palomar bike ride takes you 13 miles up a 6,000 foot ascent to the peak of Mount Palomar. The average grade for this steep climb is over 6.3 percent. At the top of the ascent, stop at Mother’s Kitchen to refuel, and then head back down for a bite to eat at the bottom. There are a number of great spots to bike with kids around greater San Diego, including the Solana Beach Coastal Rail Trail and Mission Bay Bike Path, but arguably our favorite spot is the Carlsbad Coastal Rail Trail, which runs parallel to the train tracks and features wide lanes tucked well away from traffic—ideal for your little peddlers. It’s only 0.7 miles long, though, so don’t expect a big workout for parents. 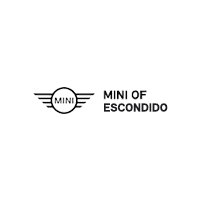 Learn More About the Area with the Locals at MINI of Escondido! Follow MINI of Escondido to find more fun stuff doing on around Temecula and the surrounding areas. Or, rely on us for useful car tips like how to get rid of car mold, or interesting car facts like who owns MINI Cooper. And if you have any questions for us, feel free to reach us online today.